Item # 310496 Stash Points: 3,995 (?) This is the number of points you get in The Zumiez Stash for purchasing this item. Stash points are redeemable for exclusive rewards only available to Zumiez Stash members. To redeem your points check out the rewards catalog on thestash.zumiez.com. 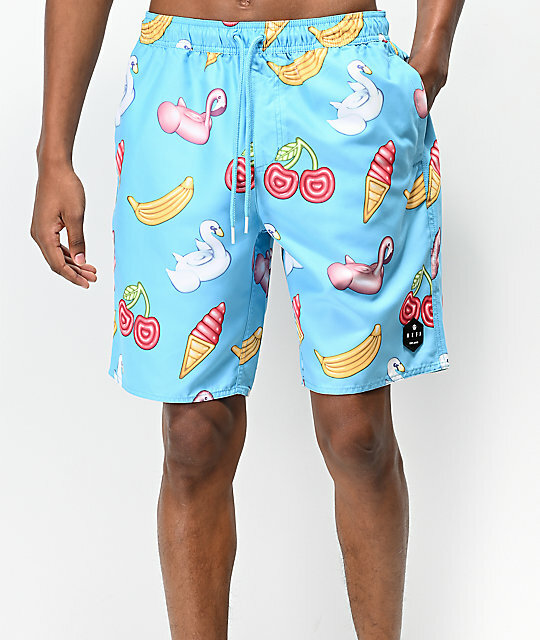 Hit the beach or pool in fun and lighthearted style, with the Hot Tub Party Ice Board Shorts from Neff. 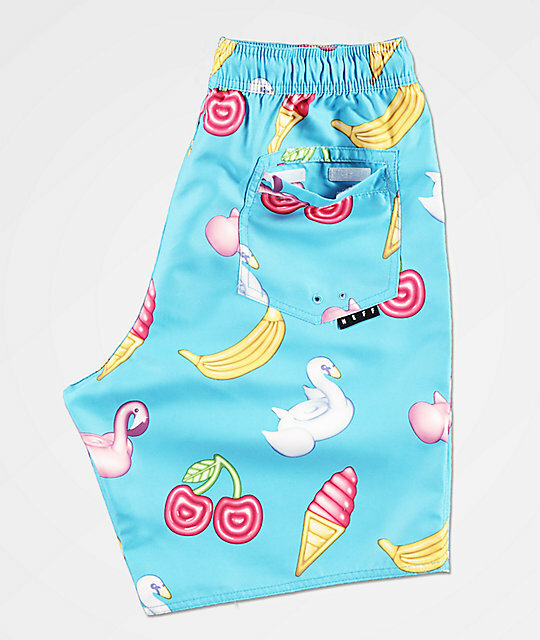 These light blue board shorts feature fun graphics of pool floaties throughout. An elastic waistband with adjustable drawstring offers a custom and comfortable fit, while one rear seat pocket and two slash hand pockets offer a functional design for all of your beach days. 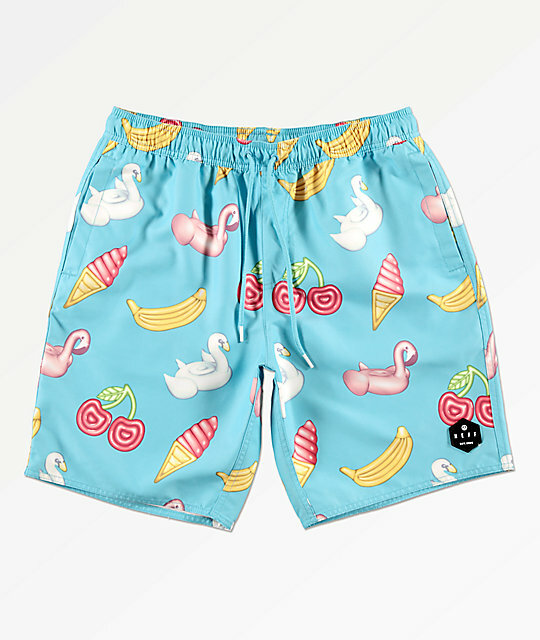 Hot Tub Party Ice Board Shorts from Neff. Light blue colorway with an array of pool floaty graphics throughout.